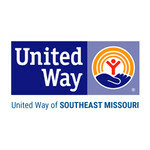 The United Way of Southeast Missouri fights for the health, education and financial stability of everyone in the communities we serve: Cape Girardeau, Jackson, Scott City, Perry County, and Bollinger County. Over the years our business model has evolved from being a Community Chest offering emergency help in times of need to creating lasting change through the collective impact of our network. We have moved from merely collecting and distributing funds to identifying and investing in solutions, collaborating with others to change lives for children, students, working families, and senior citizens throughout Southeast Missouri.